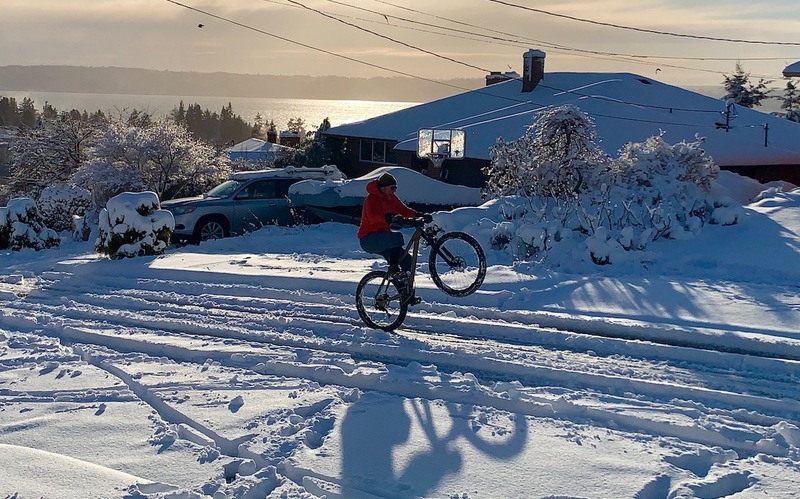 Seattle Snow 2019 was epic in Seattleites reactions to it mostly. If you wondering, the reason Seattleites are such pussies about the snow is a big chunk of the populous just moved here AND it’s a wet, icy snow on coastal, steep roads. Also this one time, WSDOT decided to not salt the roads. That was a bad idea that people are still getting over. 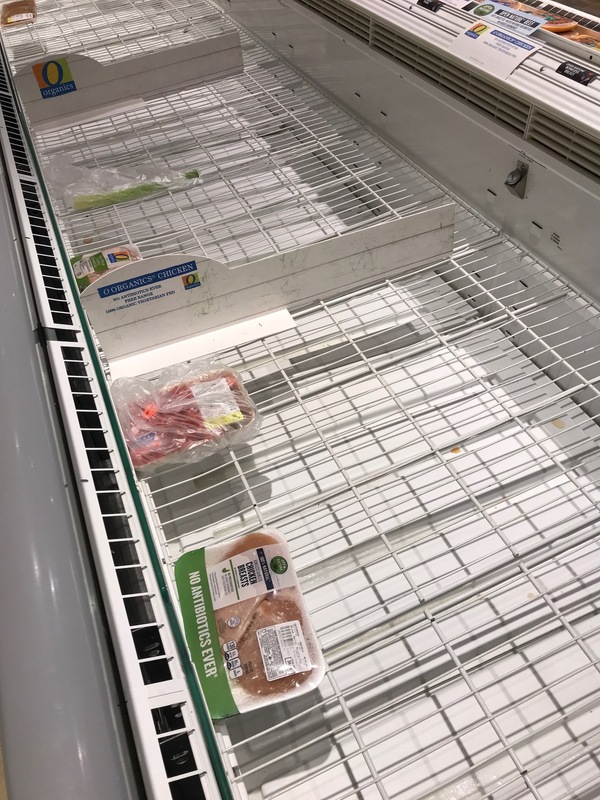 Shelves are cleared out, the organic section of course. Once it actually happened, everyone relaxed, and we got out in it, of course. 6 inches of snow accumulated where we live. Double and triple the snow fell north and south. Of course we rode in it. The National Weather Service is predicting two more storms: this afternoon and tomorrow. Today, we’re stocking up on supplies and going for a ride again. 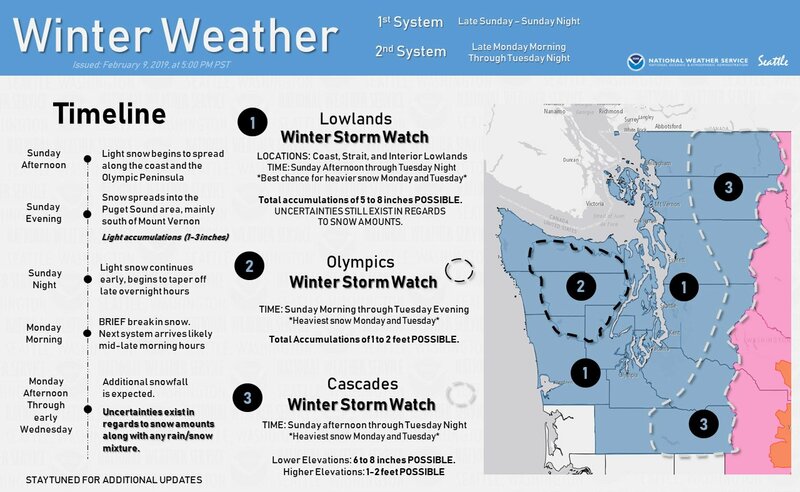 Winter Storm Watch has been issued for western Washington. There will be TWO systems that impact the area. The 1st system arrives Sunday afternoon-night with light accumulations. The 2nd system pushes through Monday-Tuesday. We got the gear and the bikes…but nothing is good on black ice. Biking in the snow is like any other snowsport. Your fun is entirely dependent on the conditions. It can be crusty and perfect or greasy and frustrating. You should totally try it. The other thing, it’s not that cold in the Pacific Northwest, but it’s a wet cold. A deep in your bones cold. When I get out, it’s with embrocation and pocket warmers in the gloves and boots. The best winter-riding tip I can give you, is keep your hands and feet warm. Your bike will work fine. To be sure, cycling in the cold, if done well, is a submission. It is a submission to the temperature, to the wind, to all the crueler elements. It is a submission to the larger demands of the season, an admission that we cannot hope to be at peak form year-round. Even so, it does take a force of will to leave home when temps reach freezing. A frozen water bottle is only cool as part of a story told months later. The humility required to keep the heart rate in check requires banishing the ego for months at a time.